Smíchov and Anděl are some of the most sought-after office locations in Prague, where the high level of interested tenants accounts for its low vacancy rates and thus higher rents that owners can demand from tenants (16 – 17 Eur/sq m/a month). The location is particularly popular thanks to the availability of good transport and, according to CBRE, it will play an essential role in the market for office space. At this time Anděl offers the only office project with a building permit for sale – Green Point. The project Green Point is the only one with a building permit in this vicinity to be introduced on the market this year. Therefore, it presents an unprecedented opportunity for developers to gain an office project in a very sought-after location. CBRE anticipates great interest in Green Point. Development companies such as Skanska or Immorent have recently realized their new projects in Smíchov, offering a total of 164,500 sq m of modern office space in the vicinity of Smíchov-Anděl. CBRE anticipates that thanks to the favourable accessibility to transport hubs, this area will play one of the key roles in the Prague market for office space. From the long-term view, Smíchov is anticipating a revitalisation of the area around the former railway station. 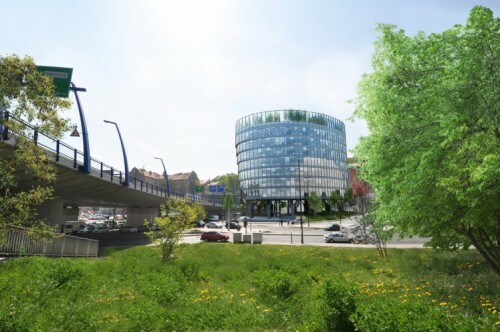 Thus, Smíchov will even out with its availability of office space on offer over the next 5 – 7 years in neighbourhoods such as Butovice – Stodůlky or Karlín.